!!!!!! !Very important: NO LUMIA 520, 525, 526...52X, 630, 635 PLEASE!!!!!!! 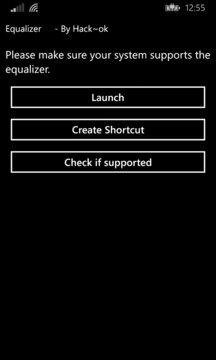 Do you want to find a shortcut for equalizer settings? Come over here! Try the audio effector equalizer shortcut and you will benefit from it ever. 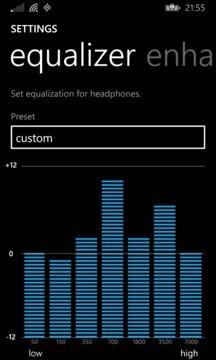 Don't miss this app if you like music with a quick entrance to the equalizer and enhancements.